How the way you carry your head is related to your feet. Forward head carriage and the feet. 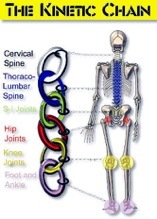 The body is an interconnected chain of segments (much like a "Slinky" toy), with its base in the feet. 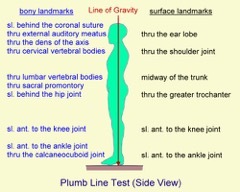 Feet or spinal instabilities can contribute to observable postural distortions. 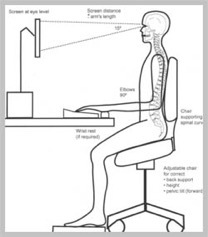 Postural distortions (forward head carriage while slouching or not standing upright) can occur from ergonomic problems unrecognized while sitting or standing. The ideal neck and head posture in the standing position requires the coordination of the skeletal structure, soft-tissue integrity, and neurological control to resist adverse gravitational loading forces. Foot stability can play in the maintenance of proper neck and head posture. Faulty foot biomechanics can have a negative impact on all the supporting joints above the foot-ankle complex. In particular, an unbalanced foot foundation may, over time, contribute to a postural anterior translation (forward head carriage) in the head and neck, causing a hyper-curvature (hyperkyphosis) of the middle-upper back and neck. We at The Placentia Chiropractic Center are able to adjust your feet into proper alignment all the way up to your neck, helping you improve the gravitational forces into the joints, thereby helping you with pain, poor posture, and stagnant circulation. Improved alignment will mean less pressure and/or friction into the joint surfaces, which can potentially prevent degenerative joint disease. Upright proper posture with sitting or standing offer humans a highly functional form of motion, but can also promote a different variety of stressful forces on the connective tissues of the body if not in alignment. Our bodies are built for mobility rather than stability as it is unhealthy to sit for longer than one hour in the same position. Due to the computer era, people over time have assumed a less consistent, less dynamically optimal biomechanical physical stature on a daily basis. A 2012, well-publicized study by the National Health and Nutrition Examination Surveys revealed that 50-70 percent of people spend six or more hours each day sitting. A sedentary lifestyle and/or compromising posture places strain on the ligaments, tendons, muscle fibers, fascia, cartilage, and bone in an attempt to maintain equilibrium of the body. Is it any wonder that recent studies have linked the "sitting disease" to an increased number of cancers, obesity, diabetes, and premature death ? Many painful, disabling conditions of the soft tissues of the musculoskeletal system are directly or indirectly related to posture in standing, walking, moving, lying, sitting, bending, or lifting. Being evaluated and adjusted by a Chiropractor is essential to overall biomechanics and joint heath. Habitual poor posture and biomechanics can play a significant role in a person's pain and disability. Spinal and foot biomechanics at a certain joint (crooked or subluxated)- can influence movement at other joints in the chain. This concept of a chain also applies to the body in a motionless, standing posture;however the term "biomechanical static chain" is more appropriate since directed movement is not involved. In either case, the chain extends from the feet through the ankle, tibia, knee, femur, hip joint, pelvis, and spine- right up to the head. The integrity and effectiveness of this chain depend on a fine balance of body alignment and muscle activity at each joint against gravity. Stability is achieved when the center of gravity of each segment is aligned directly over the center of the supporting joint. When the body is erect and weight evenly distributed between the feet, there are minimal demands for muscle action because there is no forward motion or forward gravitational pull, causing discomfort. Postural balance means a continuous involvement of the supporting skeletal structure and muscles. Receive your Chiropractic adjustment today ! During this holiday season and into the new year, we are often wearing special attire, and that often means fancy shoes. 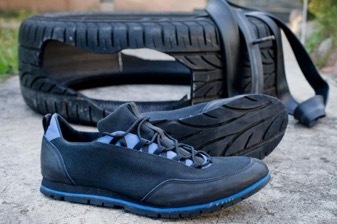 Our shoes are our "tires" to our bodily vehicle. Imagine if our automobile had tires in which the rubber had worn down significantly. The tread is low, and needs more cushion in order so that the joints do not knock or rub on each other. In sooner time, you'd need to take your car in for an alignment. Similarly, if our shoes are altered by either less tread, cushion, or minimal support, our body's joints can suffer. Problems from "subluxated" joints- improper foot-bone alignment into ankles, knees, hips, pelvis and spinal alignment can be altered and can create pain from the friction of the joint surfaces rubbing onto cartilage in the wrong manner. What would be a solution to all of this ? Well, one would of course take their automobile into a mechanic for an alignment of the vehicle. Humans would take their body in for an alignment from their Chiropractor. All joints of the body are adaptable and do respond positively to being more in their naturally aligned state. Less impingement on the nervous system can equal greater range-of-motion and better quality of life. Improper footwear can cause degenerative changes in the muscles, joints, and connective fascial tissues of the feet, which have implications all the way up the spine to the neck and cranium. 1. Choose a shoe with a wide toe box and avoid pointy-toed shoes. Pointy-toed shoes can cause a common foot condition called "Halgus Valgus," or bunions. Surgery is recommended for moderate-to-severe bunion cases. When you purchase shoes with wide toe boxes (the forefoot)- it creates more room for the toes and a lesser chance of future problems. 2. Choose shoes that have a heel height of one inch or less. Wedge, or thicker heels are a great option. 3. Try not to choose platform shoes, as you may have a greater chance of an "inversion" ankle sprain. 4. Consider dress-shoe orthotics or specialty cushioning to assist with normal biomechanical function and less pain with a greater height of the shoe. 5. Never wear heels every day. In order to train different muscles, tendons, ligaments, and bones of the feet and body, consider wearing different types of shoes every day. The gravitational force into the shoes, and how it is applied biomechanically into the body, will make a difference in proprioception, balance, strength, and coordination. The adaptation to imposed demands on the body will strengthen you and make you more able to withstand different types of terrain with less falls or accidents. The average American takes about 5,120 steps per day. 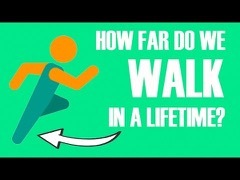 Most people will walk thousands of miles over a lifetime. With each step, improper footwear can cause degenerative changes into the muscles, joints, and connective tissues of the feet, which can have implications all the way up to the spine. Receiving spinal and extremity alignments can help with preventing early degenerative joint disease. Better body alignments equals less stress to the joints, arthritis prevention, and less pain. Chiropractic Adjustments. Changes in Organ Systems & Natural Treatment of Disease. Chiropractic adjustments can produce direct and measurable effects (proven through research) on the central nervous system. A Chiropractic adjustment can release an entrapped spinal nerve due to a subluxation, (bone out of alignment pinching on a nerve), effecting those same nerves that follow out to the periphery of the rest of the body. 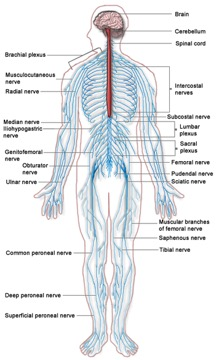 A spinal alignment can effect different nerves all the way to the fingers and the toes. 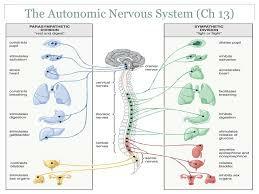 Chiropractic adjustments can help the autonomic (automatic) nervous system. Did you ever stop to think that your stomach, heart, and liver are working without you ? How so ? The autonomic nervous system controls most of everything in our bodies that we don't control ourselves. Nerves miraculously control the organs of the body by the way of the brain, spinal cord, and peripheral nerves to different areas of the body. Spinal manipulation is associated with changes in heart rate and how it varies (slow or fast). A report in the Journal of Manipulative and Physiological Therapeutics (2006) by Budgell and Polus stated that Chiropractic adjustments of the thoracic spine were associated with significant heart rate values and influenced the autonomic output of the heart. The heart rate typically lowers with the Chiropractic adjustment because of the shift in the neurological communication of the autonomic nervous system which causes the heart to slow or normalize. The research study by Budgell and Polus offers potential answers for many as to why patients' heart rates spike for no apparent reason. The spine, although a great influence on the nervous system, has often been overlooked in the clinical arena as the prime cause for cardiac issues (beyond cardiovascular disease). The authors of the research article emphasized that Chiropractic has many positive effects for many conditions (not to interrupt co-care with an MD). Chiropractic care should be considered a conjunctive treatment to go along with your regular regimens, necessary treatments, and routines for staying healthy. Regular maintenance and preventative Chiropractic care can help restore, refresh, and revive a subluxated nervous system, which can help improve the quality of life. Make your appointment today. Reference: The American Chiropractor, Dec. 2015. Have you ever thought of how much time you spend in your vehicle ? How long are your commutes ? Do you sit in busy traffic ? 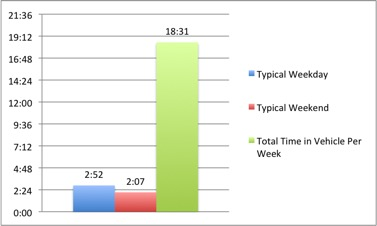 How many times per week ? Cumulative time spent in our vehicles tends to stress the mind and body in different ways. If your ergonomic postures at your computer desk have been checked out, well-thought out, and implemented, so should the ergonomics of your own automobile. The more time we spend in our vehicles, focus should be placed upon proper ergonomics while riding, in order to prevent spinal problems in the long term. Planning ahead for the potential for any accident to occur, we also must rely on our own postures to assist our bodies' functioning at a greater potential. In the midst of our busy lives, how often do we stop to think about our automobile's car headrest ? Automobile ergonomics ? You can adjust your automobile's head restraint to prevent whiplash injuries. During an automobile crash, whiplash occurs while your torso is moving in a different direction than your neck. Ideally, your head restraint/headrest should have the least amount of space in-between your head and the rest, creating a supportive, safe range-of-motion that your head can move. According to the Royal Society for the Prevention of Accidents, there should be about 2.5 inches of space in-between your head and the restraint. The back of the head should be level with the middle of the restraint. Protecting the range-of-motion of your head and neck is the key to preventing less whiplash occurrence if your vehicle is hit. Whiplash injuries are an expensive and painful problem in our country. There are more distracted drivers than ever before. Focusing on your phones, texts, the radio, or children can damper how much focus we have on the act of driving. 29 billion dollars per year is spent treating the pain and disability that is caused by whiplash alone. Whiplash injuries can be slow to heal with many flareups which can last up to 2 years or a lifetime if left untreated. Please check and adjust your head restraint today in the prevention of any future whiplash injuries. Improving dizziness and balance problems with chiropractic care is a no brainer. Aging is a natural part of life. There are no two ways about it. We are going to get old. If we don’t, well then we have bigger problems. Or maybe we don’t have any problems at all. For those of us that are lucky enough to get older, our chances of getting some sort of balance disorder gets greater the older we get. 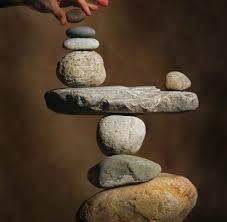 In fact, for those over 65 years old, approximately 30% will get some sort of balance disorder. Now there is some more evidence that chiropractic care can help. While not a cure all for all types of dizziness or vertigo, it has been shown to help with almost every form or vertigo. There are always exceptions. We can’t be perfect I guess. So what did the study say? Of those that were studied, only 4.7% of them had seen a chiropractor for their disorder. Of those that saw a chiropractor they reported a very high likelihood of improvement. In contrast, 84% of those surveyed had seen a medical doctor for their vertigo. Those that did reported a very low likelihood of improvement. For those in the study that started to experience the balance disorder after a trauma, ca accident, or other musculoskeletal injury, they had an even greater likelihood of improvement with chiropractic care. So what’s the moral of the story. 1. It’s not a bad idea to get checked out by our medical doctor if your worried about something serious. Occasionally it is, but most of the time it’s musculoskeletal or neurogenic in nature. Better safe than sorry though. 2. Get adjusted. It will help. The good news is that no matter what the cause, getting adjusted has no side effects or long term effects other than improving health and helping you feel better, in contrast to the typical medical “solution” of medications. If you or someone you know is suffering from vertigo, dizziness or some other balance disorder, give us a call. We offer free consultations to help determine if we can help or not. Call to make an appointment or for a free consultation. Dr. Mortensen has been providing chiropractic care to the residents of all of Orange County for over 15 years. Graduated as his class valedictorian and voted as Orange Counties Top Chiropractor, rest assured you are in good hands.